* Complimentary sauna with each float session. Saturday, Sunday - Mixed Days. 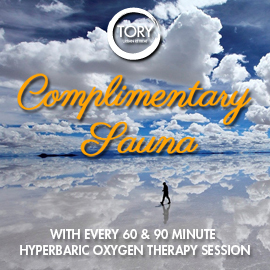 * Complimentary Sauna with each 60-90 minute Hyperbaric Session. Please note: We do provide other varieties of massage (such as reiki, reflexology, hot stones etc), so please feel free to enquire about any of our services - we're happy to assist you. If you are pregnant, or think you maybe pregnant you NEED to contact us before coming into float. You will need approval from your health practitioner, our advice & we need to prepare our room especially for you and baby.